Home / Merchandise / Product Picks: Summer 2016 Intern Edition! 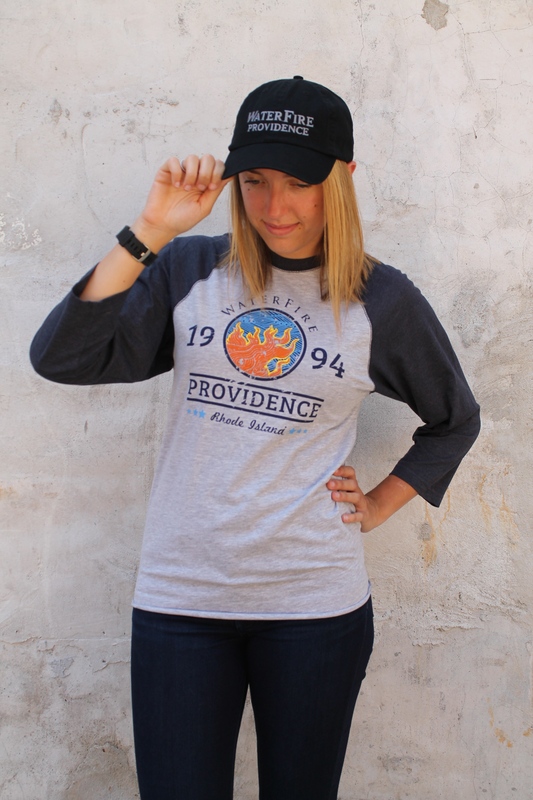 So much new merchandise has been added to the WaterFire shop this summer that we just couldn’t resist doing a photoshoot to show off our favorites! We asked summer interns from various departments for their thoughts and recommendations, and today we’re sharing it all with you! Greg Miller, Video Intern: I modeled the Amazing WaterFire Tee, and I felt that’s just what it was! I loved how it fit and it was the most comfortable cotton shirt. 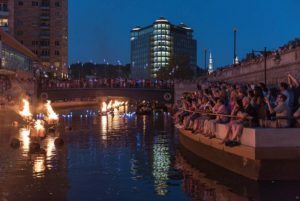 It brings a nostalgic, carnival-like feeling to WaterFire, and it was totally breathable in the humid New England summer. Melissa Bassett, Special Events and Operations Intern: One of the products I modeled was the new Raglan and that was my favorite! It’s so cute and comfy… I know what I’m asking for for Christmas! I think it works for both males and females, and I was super excited that I got to be the one to model it! Other WaterFire products that I really like are the black hats, especially the one with the brazier and flame on the front and WaterFire’s name on the back. Sarah Daebler, Video Intern: I modeled the Raglan Tee too and I liked how it was so comfortable and I also loved the colors that it used, I thought it made the shirt so cute! 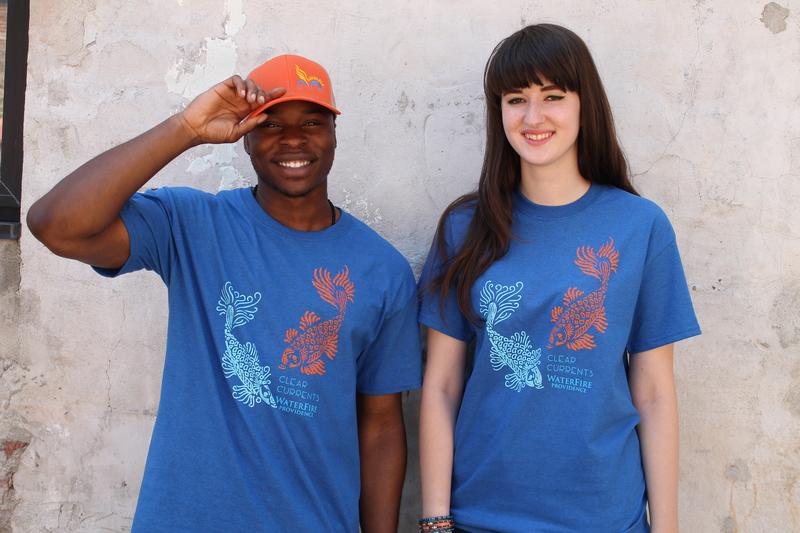 Other WaterFire products that I like are the Clear Currents Tees because they are so unique, and the hats because they are so cute. 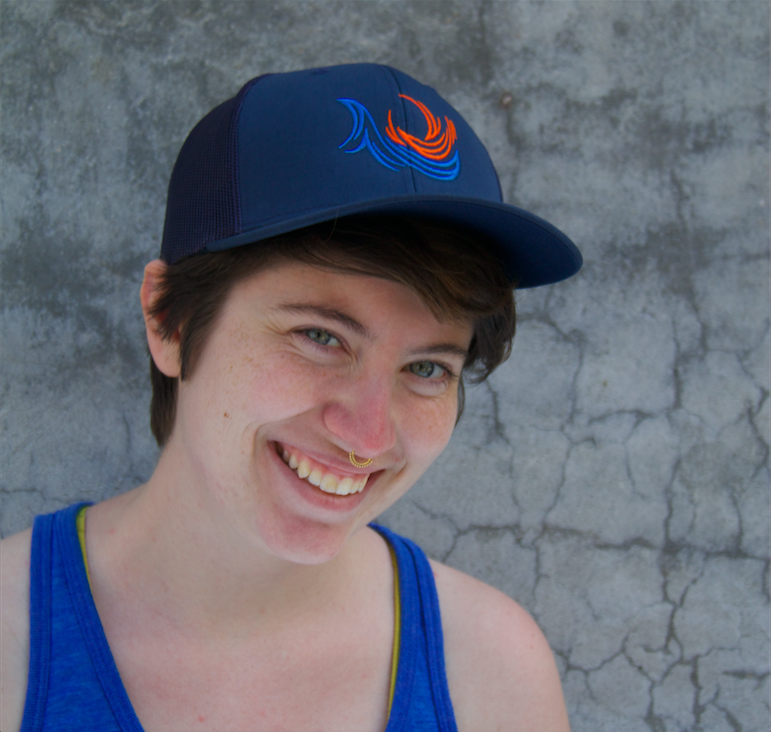 Marissa Pesak, Special Events and Operations Intern: I am head over heels in love with the baseball cap with the fire embroidery. It is so lovely and simple. Would 10/10 come in handy on event days. I absolutely loved the Donna Lee bracelet I modeled. It is so subtly WaterFire, but also wearable for everyday. 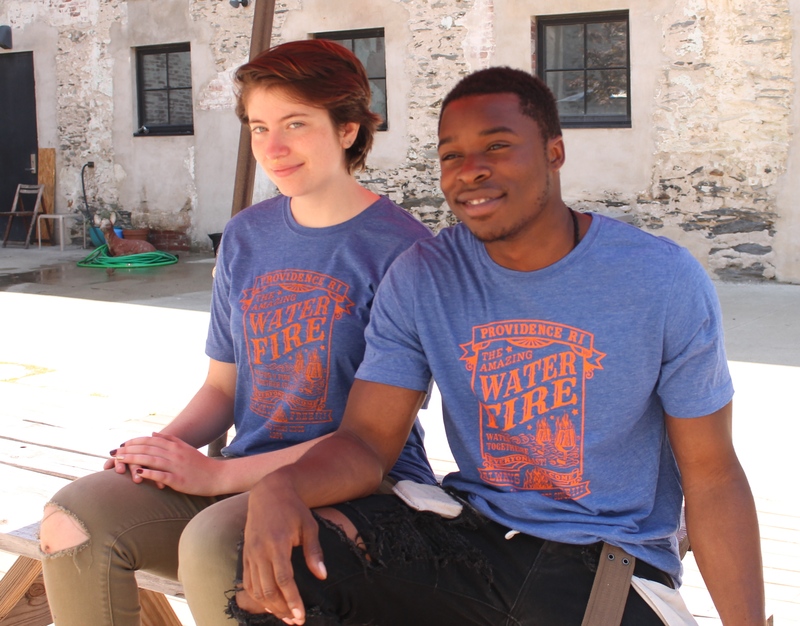 Horace Robinson, Management Intern: I personally like the colors of the products (like the 2016 Clear Currents and Amazing WaterFire tees). I often do not wear bright colors but these products really pop with the color contrast, the material is quite soft also. Ali Fortier, Branding and Merchandise Intern: Honestly, the hardest part about working with Merchandise is resisting the urge to buy it all! I don’t think I could pick just one favorite! I love all of the shirts that the other interns have been mentioning, but I’ve also been obsessed with all of our ScreenCraft products – from jewelry and wine charms, to marble magnets! Thank you to all of the interns who participated in the photoshoot and shared their thoughts on the merchandise! We hope all the WaterFire fans out there are just as excited as we are about these new products!